If you like relaxing and enjoying a scenic tour then this will be the best place for you. You will find a place that's brimming with life and lots of scary stories. If you're looking for the ultimate adventure then look no further than here. You will get to spend your evening relaxing and enjoying a nice through true some of the scariest parts of Key West. You will have the adventure for a lifetime and it's the perfect thing to bring your friends with you on to enjoy a beautiful and scenic site. It is the perfect thing to do together with someone. This trolley will be an interesting and fun experience for you and you will get to see the dark streets of old town and your stories about the islands haunted history from your guide. 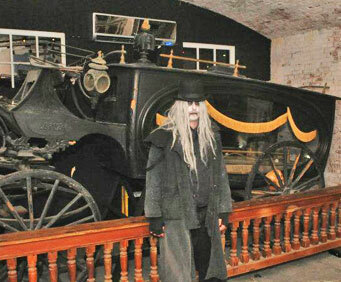 The ghost and gravestone tour will give you an in-depth look at the darker side. If you want to hear about the colorful past of the island and learn lots of new things you never even knew then this will be the ultimate tour for you. It will be exceptionally fun and exciting and you will be on your toes the entire time. If you easily scared then this is probably not the tour for you because you will need a lot of strength to be able to relax and not be too overwhelmed by it all. You will finally learn why Key West is considered one of the most haunted cities in the country. You will get to have nighttime entry into the haunted Civil War for that once housed soldiers that had problems. You will hear tragic tales of love and betrayal and many other interesting things as you enjoy a hearty tour of the city. 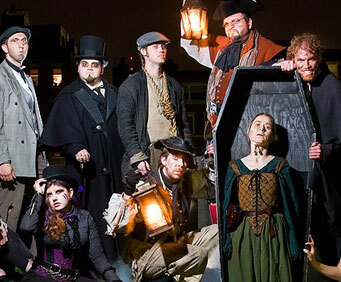 Join your gravedigger guide aboard the Trolley of the Doomed for a journey through Key West's darker side! Take an evening trolley ride down the narrow, dark streets of Old Town and hear stories from your guide about the island's haunted history. This ghost and gravestone tour of Key West offers you an in-depth look into the strange and gloomy past of the Southernmost City. Though lively and bright during the day, Key West's frightful past begins to stir when the sun goes down. 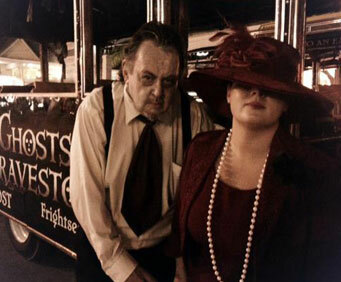 On this ghost and gravestone tour, discover the island's dark and gloomy past as you explore the area aboard the Trolley of the Doomed. Hear haunted tales of restless souls as you travel down the narrow, dark streets of Old Town, filled with 19th-century wooden houses that harbor the secrets of their former inhabitants. Listen as your guide, dressed as a real 17th-centry grave digger, tells stories so tragic and chilling that you'll see why Key West is considered one of the most haunted cities in America! Enjoy exclusive nighttime entry into one of the island's haunted Civil War forts, which once served as quarantine barracks for suffering soldiers left to die from yellow fever. Your 'Ghost Host' guide will add a pinch of humor to Key West's dark side with ironic tales of deathly love and tragic endings - some so strange it will be hard to believe they're true!